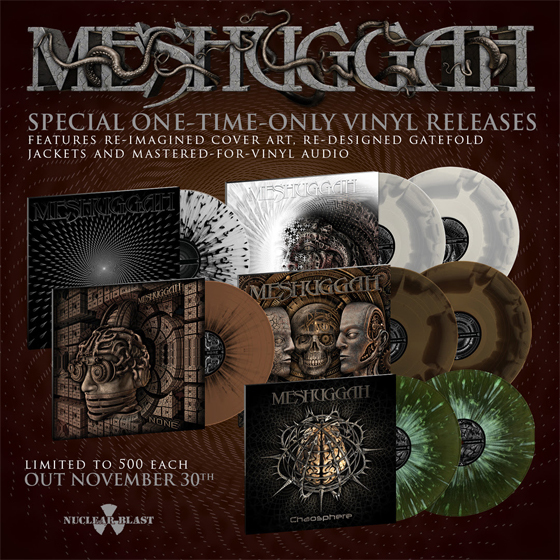 Watch the trailer about the upcoming MESHUGGAH reissues below. The re-designed album artwork was completed by Keerych Luminokaya who created the artwork for the band's 2012 release of KOLOSS. For the remastering of the albums, the band returned to Thomas Eberger of Stockholm Mastering who worked with the band on The Violent Sleep of Reason which secured the band their first GRAMMY nomination for “Best Metal Performance". Order copies of the first 5 reissues HERE.